Purple PenWorks is the banner under which Cheryl McKay works on creative projects, penning film and television projects. She also now works as a producer on scripts she writes. Cheryl became known as the “purple pen writer” during the release of Never the Bride, where the purple pen became a character in the story. Now, she always brainstorms her stories using a variety of purple pens. The Vision Statement for Purple PenWorks is to create stories that touch hearts, have redeeming value, cause people to think about what they believe and how they live their lives, bring about change for the good, stories that make a person ask questions, stories that bring hope to those who’ve lost sight of it, or stories that remind us that beauty and good can come from difficult and painful situations. 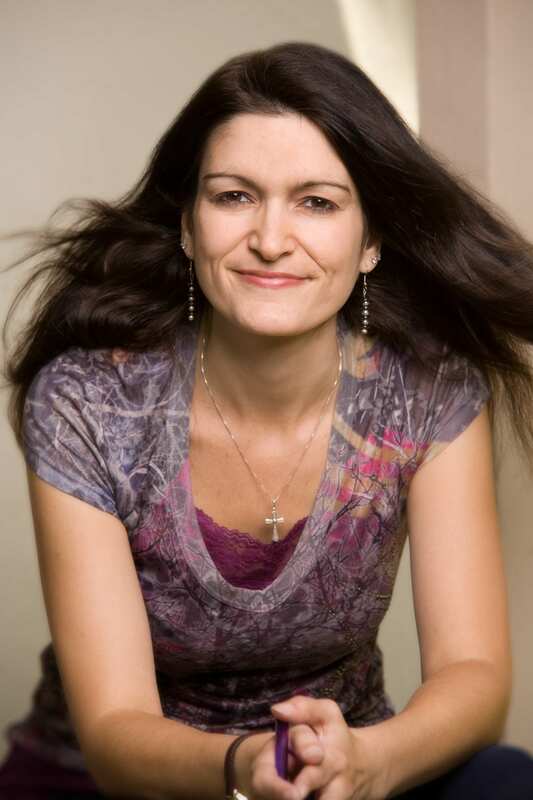 Cheryl McKay has been professionally writing since 1997. Cheryl wrote the screenplay for The Ultimate Gift, based on Jim Stovall’s novel. The award-winning film stars James Garner, Brian Dennehy, and Abigail Breslin and was released in theaters by Fox in 2007. The Ultimate Gift won a Crystal Heart Award at the Heartland Film Festival, received three Movieguide Nominations, winning one of the Ten Best Family Films of 2007, and won a CAMIE Award, for one of the Top Ten Films of the year. Cheryl also co-wrote Extraordinary which was produced in 2016. And she co-wrote Indivisible, which goes into production in October 2016. Both were based on true, inspiring stories. 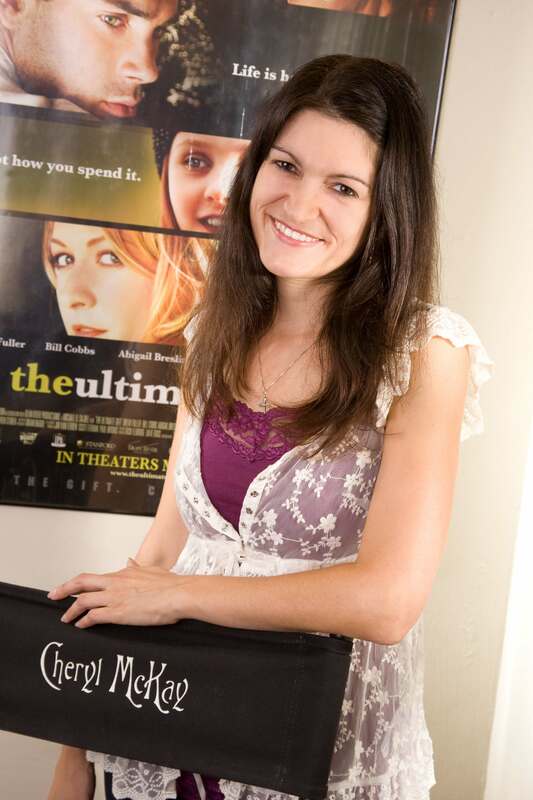 Cheryl also wrote the DVD for Gigi: God’s Little Princess, another book adaptation based on the book by Sheila Walsh, as well as the Wild and Wacky, Totally True Bible Stories audio series and books with Frank Peretti. She wrote a half-hour drama for teenagers about high school violence, called Taylor’s Wall. It was produced in Los Angeles by Family Theater Productions. She wrote a script called Greetings from the Flipside, commissioned by Art Within, after winning a year-long fellowship. It’s currently being adapted into a novel for B&H Publishing (with Rene Gutteridge). Her screenplay, Never the Bride, has been adapted into a novel for Random House Publishers and was released in June 2009. The film version is in development. She also wrote the screenplay for A Friend for Maddie. 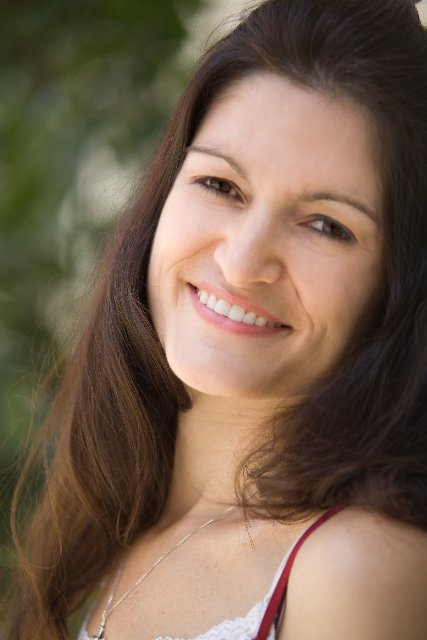 Cheryl recently relocated to Atlanta, Georgia after living in Los Angeles for 15 years. She lives in Atlanta with her husband, Chris, who is a photographer, a musician and video editor. Whether you are a friend, a family member, a fellow alumni from Act One or Regent, or just someone who wants to follow my writing career, thank you so much for your interest. This will be a good place to be kept up to date on what I’m up to, what films are going into production or what projects will be releasing either as a book or film. I’ll be sharing photos and stories from the film production process. And for those of you who are aspiring writers out there: welcome to the team. It’s a crazy profession, but a lot of fun. I encourage you to write only what you are passionate about, find a way to put yourself somewhere in your writing, never stop learning, and get your work critiqued by those who know you or through professional critique services. (Due to time constraints, I no longer critique scripts.) You may only get one chance to submit a project and you want to make sure it’s your best. Oh, and write every day! Seriously. Even if it’s just for twenty minutes. I have been writing since I was five years old. That year I wrote my first play. I wrote my first novel at age seven. (Well, I called it a novel. Really, it was a collection of silly short stories with kooky illustrations.) I haven’t stopped writing since. I absolutely love it; it’s practically my favorite thing to do. I get a lot of requests from people with story ideas they need written into scripts or from book authors who want me to consider adapting their books into screenplays. Time permitting, I would be honored to consider your project if it’s been picked up and funded by a production entity and you are ready to hire a writer. Please email: cheryl (at) purplepenworks (dot) com to supply a short synopsis (2-3 sentences max), the name of the production company and/or producer you are working with on the project, website links, and your contact information. For any one who works for a production company looking for material to produce can email me as well to request loglines or synopses. Please supply your name, title, company name, and website. If you have a preferred genre, specify that as well. Special Thanks to Heather Gebbia for designing the Purple PenWorks artwork and to Christopher Price, Lisa Crates, and Vincent Wallace for photos. I look forward to reading your future blog Cheryl! I was pleasantly surprised to see that you commented on my blog! I want to tell you that your book shifted my mind in so many ways! Great things begin to happen after I read Finally the bride. I did make a post to let the ladies know that you appreciated our feed back. I don’t have Zebraprintlover email address but I did mention her in a post so that she will see what you wrote. I also mentioned Belle so that she would see also. Thank you for writing such a wonderful book! Thanks LaToya. 🙂 Thanks for the comment and for posting my note. I should have given you an email to post for both Bella and ZebraPrintLover. 😉 It’s cheryl at purplepenworks dot com. (Please post it that way so spammer programs don’t snag it. 🙂 I’d love to hear from both of them. That forum showed up in a google alert about my book. I was so glad to find the forum, even if I can’t post myself over there. Yeah, we got mad at Jessie too! 🙂 For being so blind and wrong. Glad you persisted and enjoyed where the book landed. Rene is amazing to work with! We have another novel coming out in Oct. “Greetings from the Flipside” Thanks for saying hello! I just finished reading Finally The Bride, and it was wonderful. Congratulations to you & Chris! You mentioned in the book about prophetic prayer meetings, and I was wondering where I can find one in my area (San Francisco Bay Area). I tried a few Google searches and my local churches but didn’t come up with anything. What can you recommend? Thanks! Laura, thanks for taking the time to write. So glad you enjoyed Finally the Bride. I am not that familiar with the area, but maybe you could do a search for the International House of Prayers ministries and see if they have any local places. – Best to you! Helloooo Cheryl! Fellow Regent Alumni LaKendra here! I think we did work together on “Shadowplay,” if I am not mistaken? In any case, Kenny J (fellow Regent alum) literally just tuned me into your story, works and website. Kudos, lady! It’s a joy to share in your works again. Looking forward to reading your books! Hi LaKendra, Yes I remember you. I don’t think it was Shadowplay… but maybe one of the Lumen projects? Or a music video? I think you were there my final year. Thanks for visiting my page and saying hello! Hi Cheryl, im from Colombia, I have been reading Finally the bride, thanks a lot for sharing that book with us! Is like reading my own story, amazing!… Just mine is still in the middle of the book… I hope that God will give me one day that gift too! God continues blessing you a lot! Thanks! I just finished reading your book “Finally the bride” while on vacation these past 2 weeks and could not put it down! All I could do was praise the Lord for the amazing love story he has blessed you and Chris with and I pray that he would expand your ministry together to touch many more lives! I am 27 and have been single for the past 6 years, committed to waiting for God’s best. Thank you for being so real about the journey of being single and waiting. I thank the Lord for the loveable and relatable person in you he has used to bring this encouraging message. Bless you greatly sister Cheryl! Thank you! My name is Britta, and I can’t tell you how much of a Godsend Finally the Bride has been. I’m still in the middle of reading but a few things have stuck out to me: first of all, we’ve both read When God Writes Your Love Story (This book changed my perspective on how to approach romance in God in 2004), your ability to bring humor to your time of singleness…so many of your opinions I’ve said and felt myself, and I’ve wanted to be a writer, and spun stories since I was a little girl. I started off writing plays/screenwriting as a child. I shifted to focusing on novel writing in college and graduate school, but have since felt led to shift back into screenwriting. I literally made this shift weeks before discovering your book. I totally agree that the film industry needs stealth agents like ourselves to infiltrate whilst entertaining (and hopefully blessing) others with great stories. Like you, I’ve also walked out my time of singleness for a long time. I’m 28, and it’s been quite discouraging. I’ve never dated. Period. Long rant over with, I thank you so much for following God’s call and writing this book, because I can’t help but feel like (not to be egotistical, lol) that God had me in mind. With all the things we have in common, it almost feels like confirmation that perhaps I’m going in the right direction, both in my relational life, and professionally (which I’ve often had a hard time wondering whether God called me into, or is it just something I want). I find it most inspiring how God walked you right into that huge screenwriting position. I’m currently praying that God would begin to confirm this nudge I feel towards storytelling, as I’ve never received any prophecies on this particular area. Just had loads of daydreaming, stories birthing in my head like slides across a projector, and moments where I could actually picture myself at the Oscars. I’m also praying for spiritual and professional mentors, after having been inspired by your book. Anyway, this is already too long, but really, your story is so blessed. Thanks for writing Finally The Bride, I believe it’s going to lead me into a more intimate relationship with God. Thought you might find this just a little strange and interesting. I’d been meaning to watch “The Ultimate Life” for weeks and finally started to on a whim the other day. But a couple of minutes into it, just after I’d read your name in the credits, my little email notification dinged. I opened up that latest email and it said Cheryl McKay would like to connect on LinkedIn. Weird, eh? I read this SECONDS after I saw your name in the credits! Don’t know if there’s any spiritual significance to it, but must say it sure caught my attention. Very fun. 🙂 I can’t believe it’s been 7 years since you did that news story on me! For years I’ve been feeling as though there was no one else that could relate to what I was going through until I read “Finally the Bride.” Although your story parallels mine in many ways, unfortunately I was not able to avoid that un-coveted title that you mentioned in your book. However, your story has given me hope in spite of my age. In fact, I’d like to say that it was my very own Godwink. You posted your engagement story on my birthday :). Like you, I am also a writer and my best work comes from my personal experiences as well. The idea came to me years ago to write a novel based on my journey away from singleness and I forgot about it until now. Thank you for giving me hope to believe for and write about my “Finally”. Thank you so much for writing Finally the Bride, you have taken the words right out of my mouth and my heart. I have said the same prayers, had the same thoughts, frustrations, loneliness, as well as bitterness about being alone while everyone else has someone. You have given me so much hope. I truly believe God led me to your book. I go to sleep with peace in my heart, surrendering to God to write my love story. Our situations are different, I was married, but now am a widow, and have been alone for many years, I pray to be a wife again. I’m in my 50’s and pray that God gives me a second chance. It’s so hard to be single in a couples world! I prayed that you would find your husband before the end of the book. I am so happy God wrote your love story! Thank you for your kind note Lisa and sorry it took so long before I saw it. (We’ve been moving cross country. 🙂 ) Praying for you. And I hope given your particular situation the stories at the back of the book for 2nd chances were helpful to you.